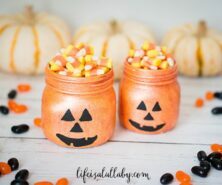 There are so many cute crafts for kids these days! With having a preschooler in my house, I’m always looking for easy crafts I can do. 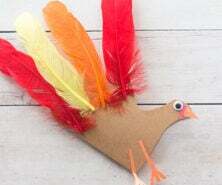 It’s great to do crafts centered on holiday ideas too. 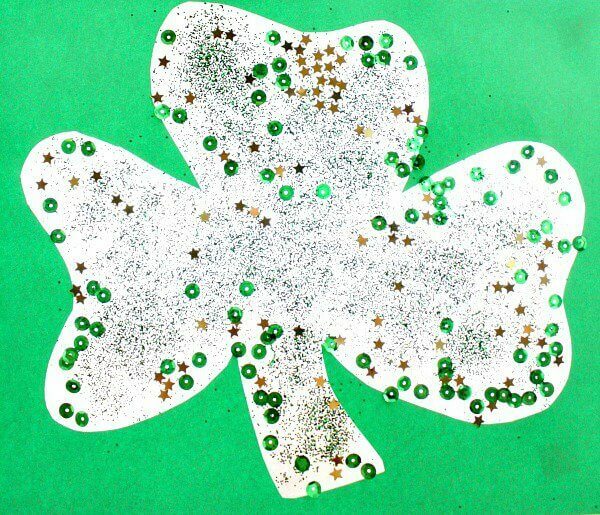 With St Patrick’s Day coming up, I thought it would be fun to share with you these 25 fantastic and easy St Patrick’s Day crafts for preschoolers and kids. I am so excited to share with you these 25 easy St Patrick’s Day crafts for preschoolers and kids. These are all such easy crafts to do and filled with lots of rainbow ideas! And who doesn’t love rainbows? 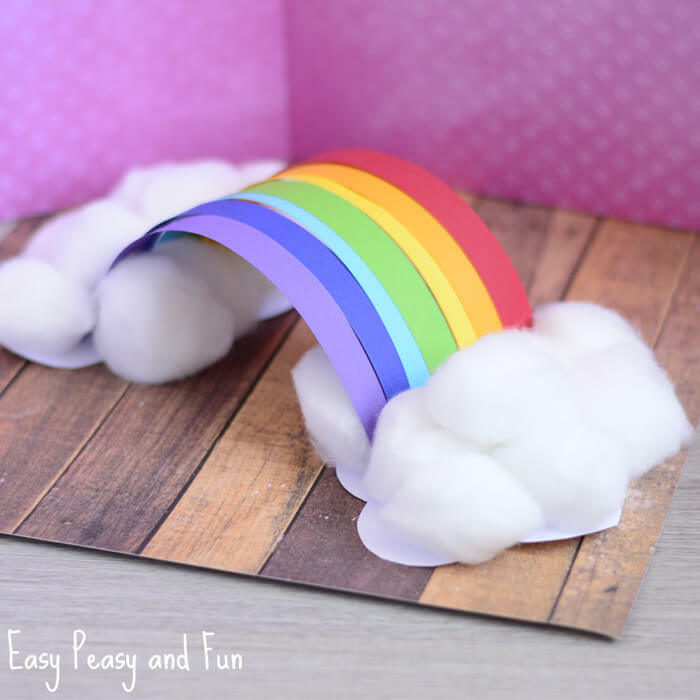 First is this colorful paper rainbow craft by Easy Peasy & Fun. Isn’t this so pretty? I would probably want to put this on display! 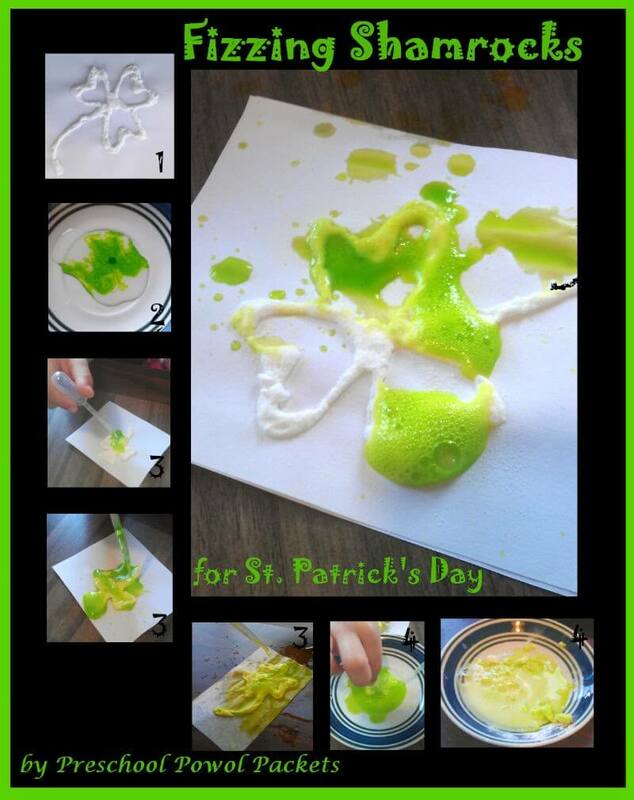 If you want to get hands a bit messy, this shamrock fingerprint craft is too cute! See it here at Easy Peasy and Fun. 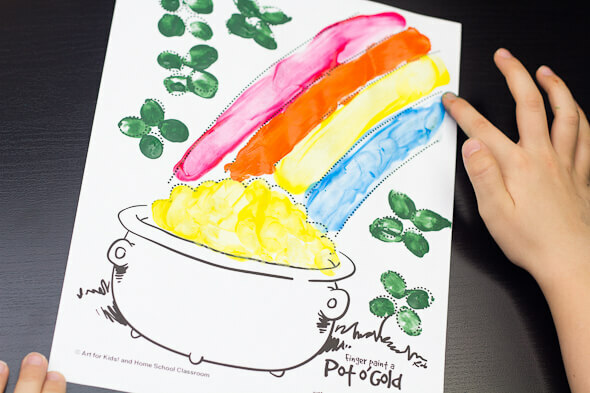 Another fingerprint craft is this free printable Finger Paint a Pot of Gold craft by Real Life at Home. This would be perfect for a preschool craft idea! 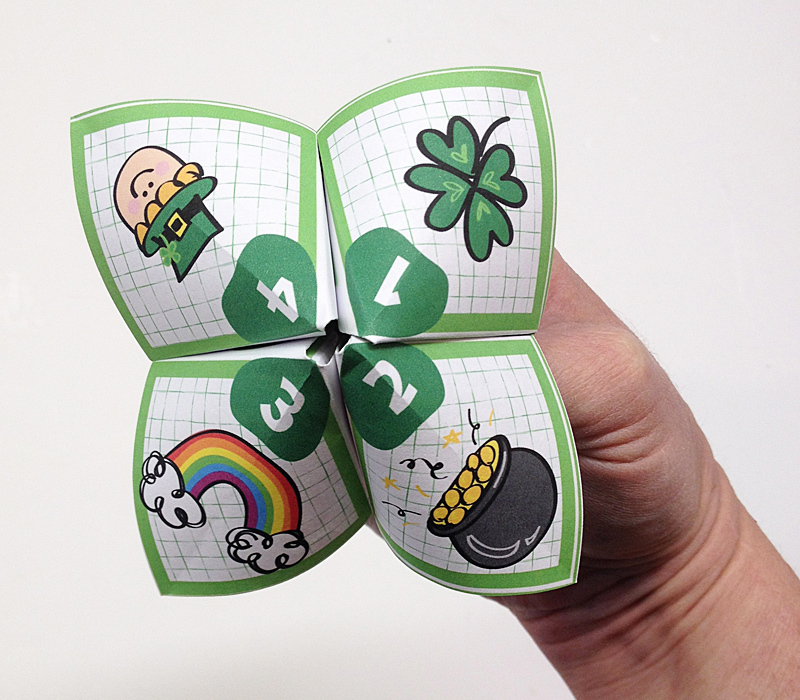 This St Patrick’s Day Cootie Catcher by Crafts by Amanda is so much fun! Just print it off and have some fun with it! Handprint and footprint crafts have got to be the cutest crafts you can do with preschoolers! 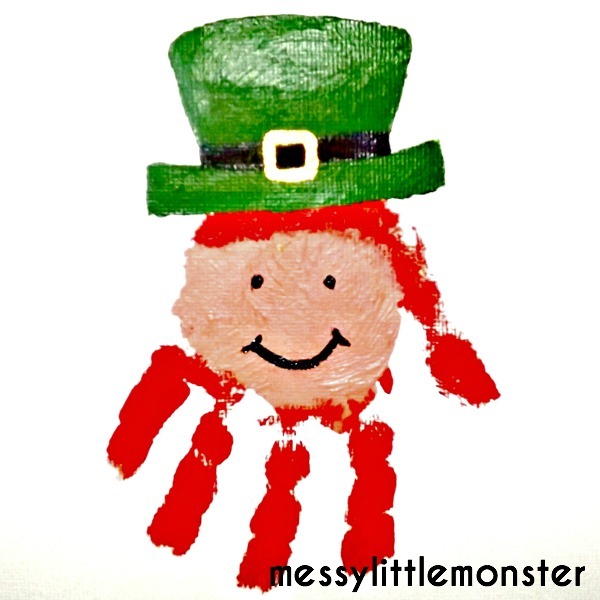 This St Patrick’s day handprint leprechaun by Messy Little Monster is so easy to make and is such a nice keepsake! 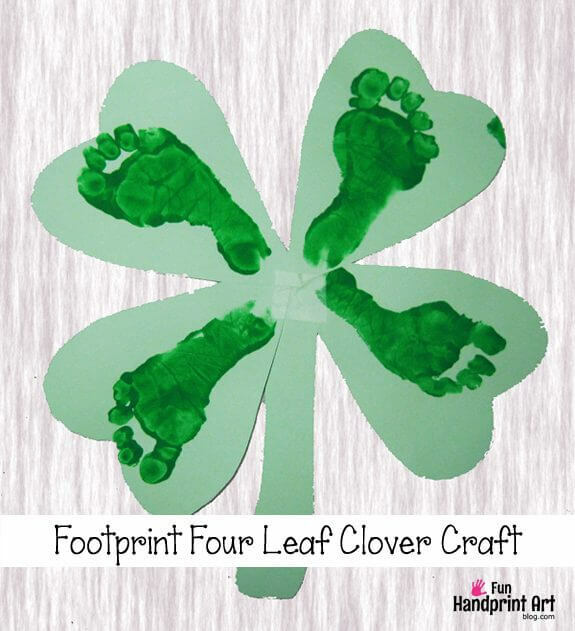 Here is an adorable footprint craft idea by the Fun Handprint Art Blog. This is too cute I love the little footprints! 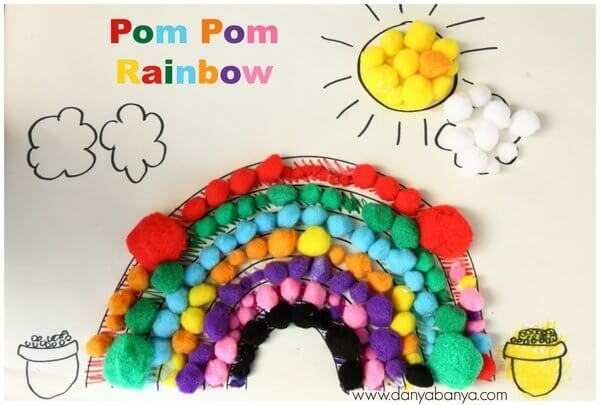 This Pom Pom Rainbow craft by Dayna Bayna is so cute and such a great way to use all those pom poms in your craft kits! This St Patrick’s Day art by Love Play Learn is frame worthy! I have a spot in my front foyer where I swap out seasonal printables and this art would look so great in that spot! For something more involved and to have a little fun with the science of sound and creative play, try these mini sound shakers by Buggy and Buddy. 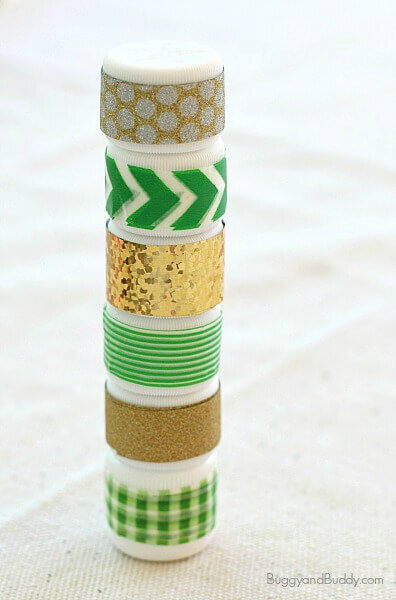 These are perfect for your little leprechauns! Here’s another fun science experiment! 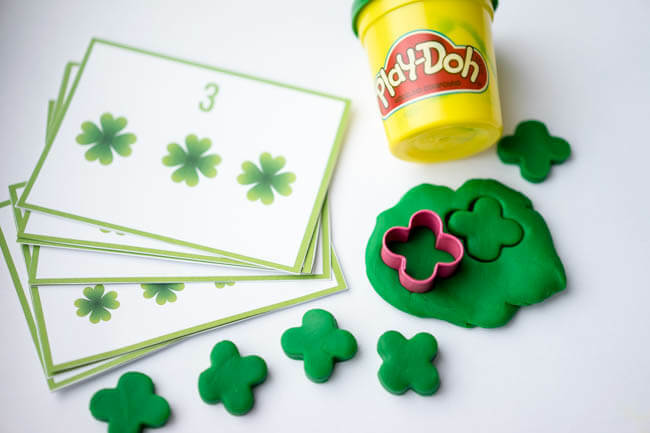 Make these fizzing shamrocks by Preschool Powol Packets. 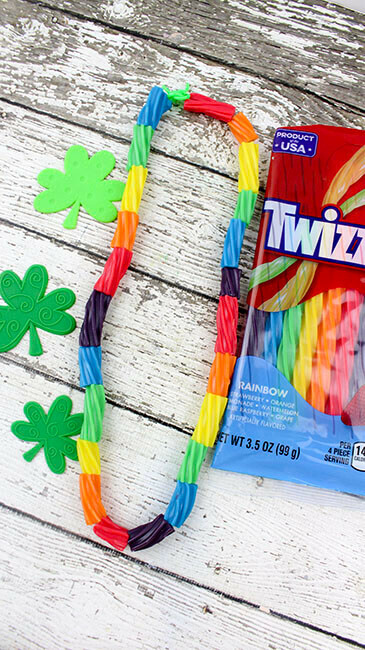 This twizzler candy necklace by Sight and Sound Reading is almost too pretty to eat! And similar to the twizzler necklace but made with pasta noodles! 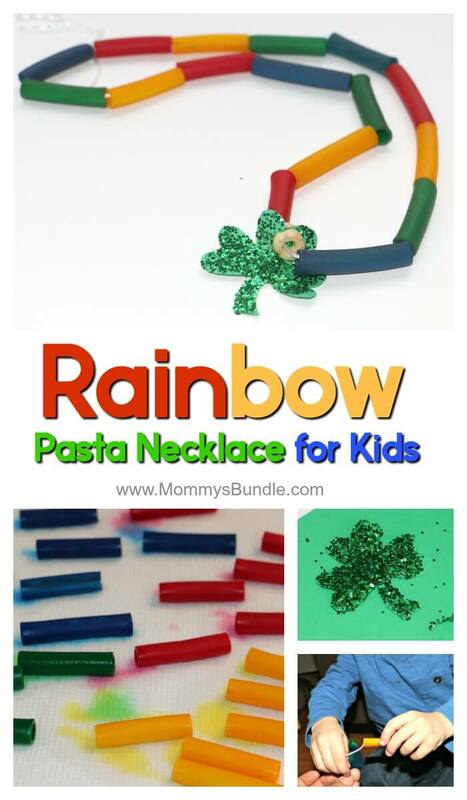 This rainbow pasta necklace by Mommy’s Bundle is really simple to do! 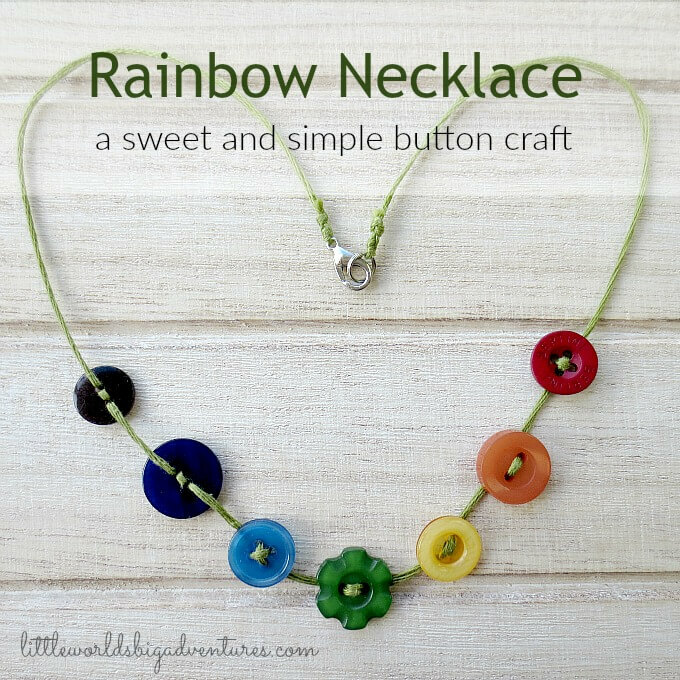 And for a necklace you can keep and continue to wear, this Rainbow Necklace by Little Worlds Big Adventures is such a simple craft! 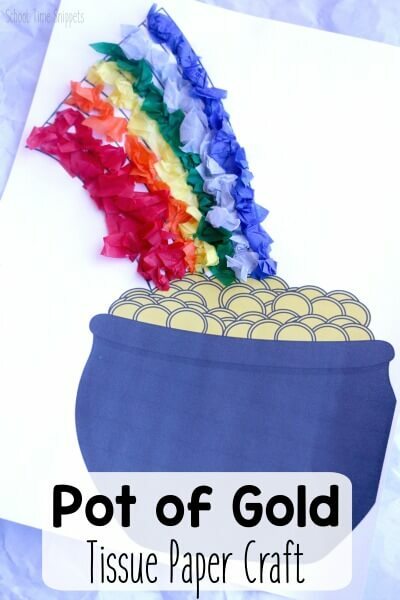 If you have lots of extra scraps of tissue paper, you can make this tissue paper pot of gold craft by School Time Snippets. 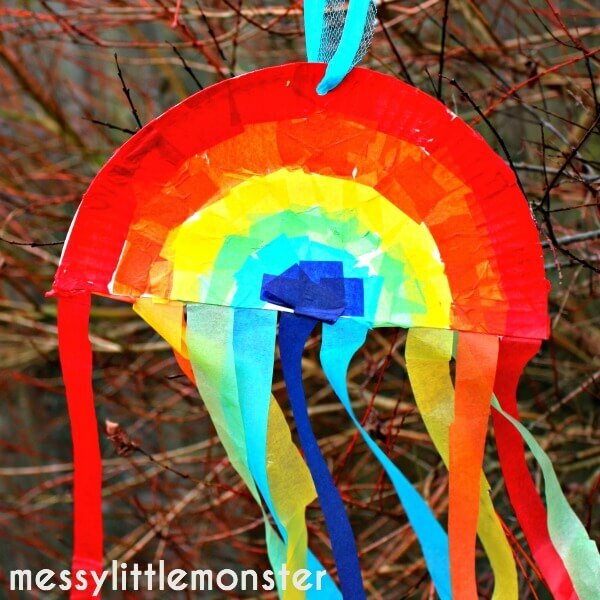 Here’s another way to use tissue paper by making this Rainbow Paper Plate by Messy Little Monster. 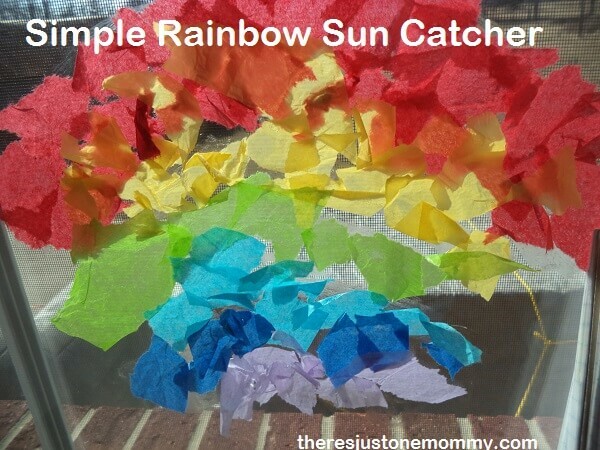 Or for another tissue paper craft, this Rainbow Sun catcher by There’s Just One Mommy would be so nice to hang on your window in your kitchen! 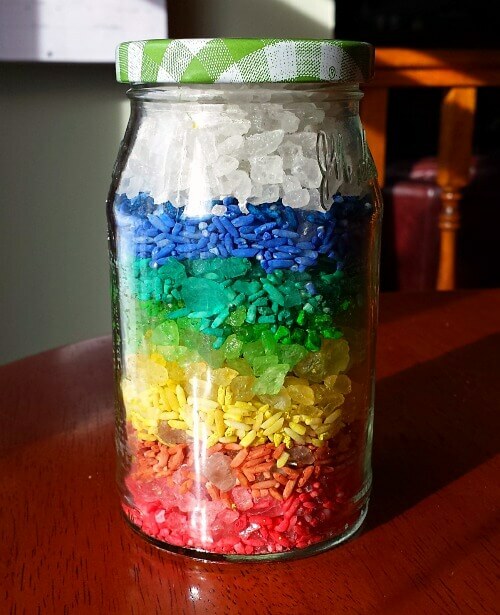 For a craft that helps refine fine motor skills, this rainbow in a jar KC Edventures looks like it would be a lot of fun to make! 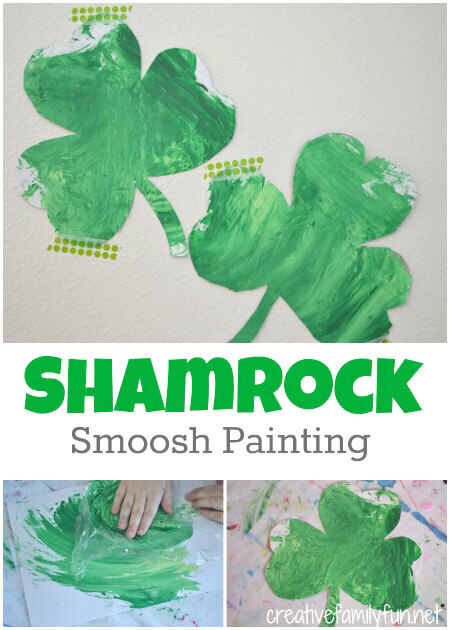 If you have a baby, this Shamrock Smoosh Painting by Creative Family Fun is perfect! This sparkly button rainbow by Preschool Powol Packets is so colorful and beautiful! This is such a pretty craft I could see this being hung up in a kid’s bedroom. Here’s another pretty handprint butterfly craft. 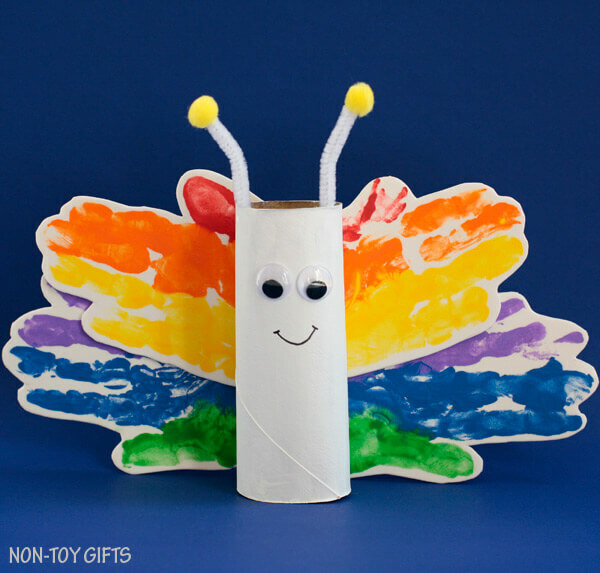 Make this paper roll rainbow butterfly with handprints by Non Toy Gifts. 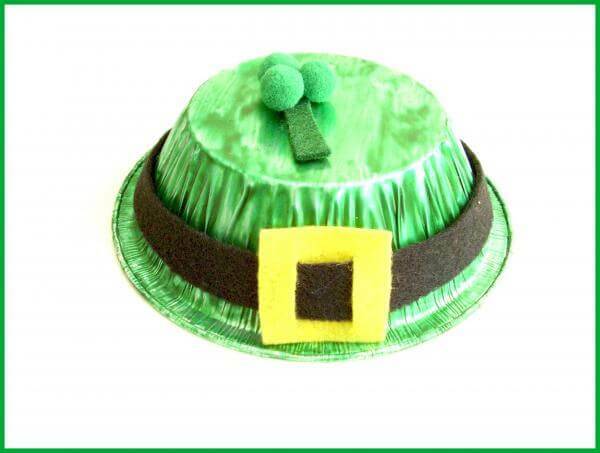 This Leprechaun hat by Preschool Toolkit is made from a pie pan. So clever! 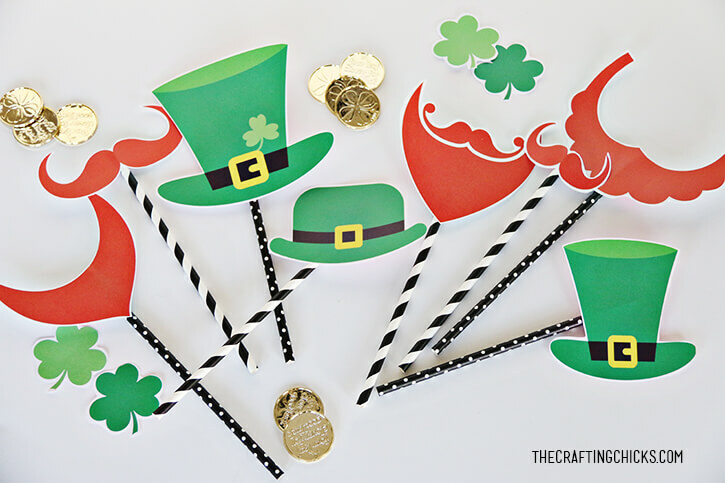 These free printable St Patrick’s Day photo props by The Crafting Chicks are simply adorable! 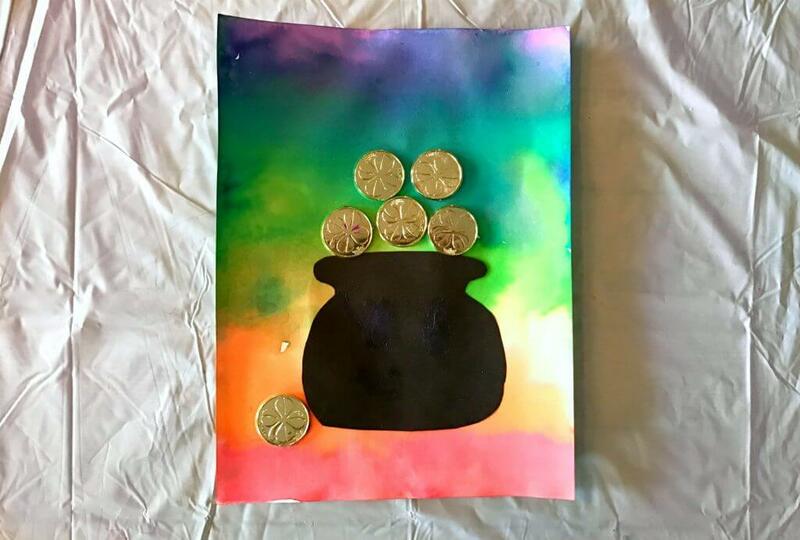 This would make a St Patrick’s Day themed party or preschool day so much fun by taking photos with these props! For a lovely St Patrick’s Day card idea, make this card by Craft Create Cook. 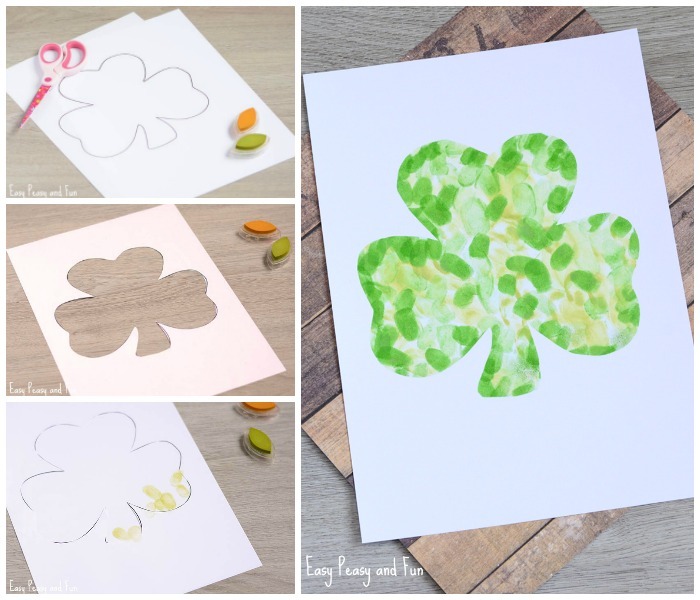 This Shamrock craft by Fantastic Fun and Learning is so simple! It uses clear contact paper and lots of glitter. And who doesn’t love playing with glitter? 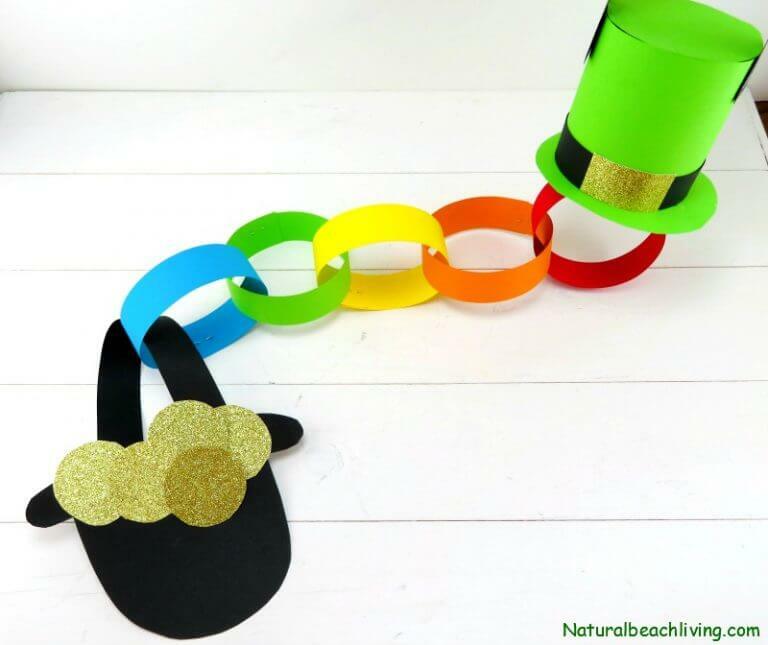 Finally, our last craft suggestion is This Pot of Gold craft by Natural Beach Living which has a paper chain rainbow. So fun! 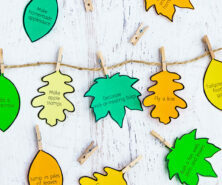 And those are the 25 St Patrick’s Day Crafts for Preschoolers that we love the most! Which one do you think you will try this year? And if you’re looking for a fun and educational way to teach counting. 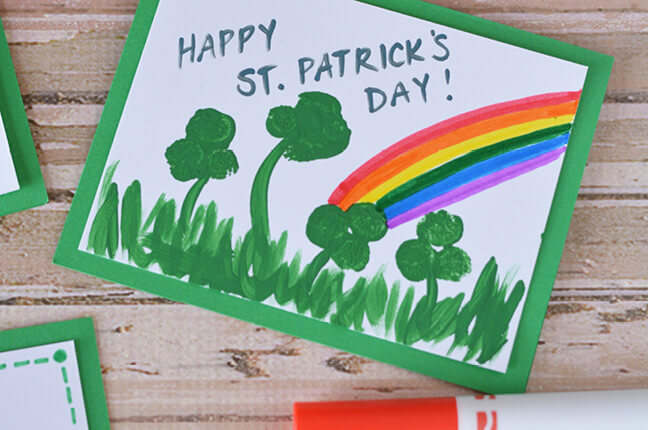 Download our free printable St Patrick’s Day counting cards! Perfect for playing with playdough!